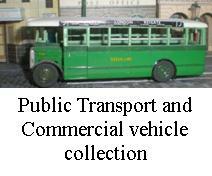 Production commenced in 1947 with the chassis’ contract being given to AEC and the body initially to Park Royal and Weyman, later orders going to Saunders Roe and Cravens. Some 4800 RT3 buses were built representing 87% of London Transports RT3/RTL/RTW fleet. The RT3 was withdrawn from service on April 7th 1979. The RT3 served with London Transport, including the Country Service, and with Green Line. Keil Kraft have enhanced their range of kits with this series of bus kits. In HO scale, to complement railway layouts, they, like the trams, are rarely seen in public. The real model is about half the size of the Big photo at the top! This one was built in the mid 1990’s and is all brush painted by hand.